Carl De Keyzer’s The First World War reproduces newly restored glass-plate images (scratches and flaws meticulously removed, which involved De Keyzer’s pursuit of the original glass plates from international archives, private collections, and museums), depicting the experience of WWI from vantages and perspectives previously lost to history. A recent post at Slate‘s history blog, The Vault, featured several images from the book taken by the photographer Arthur Brusselle, who was commissioned by the Belgian government to travel to those sites that had seen the most devastation and document his encounters (these particular plates are held in the archive of the City of Bruges). From Rebecca Onion’s post at Slate, with a couple of accompanying images below: Two of the towns in the photographs below—Diksmuide and Nieuwpoort—were the sites of the Belgian Army’s final stand against the invading German Army, in October 1914. Pushed to the coast, the Belgians, accompanied by British and French troops, created a 22-mile defensive line from Nieuwpoort to a village named Zuidschote. The nearly monthlong Battle of the Yser, during which the Belgians purposefully flooded part of this landscape in order to deter German advances, ended in defeat for the Germans and allowed Belgium to keep a small percentage of its . . .
We’ve long been set to publish the closest volume yet to a catalogue raisonné for the visionary artist Paul Laffoley (1940–2015) in Spring 2016, and thus, were all the more saddened to hear of Laff0ley’s death last week. 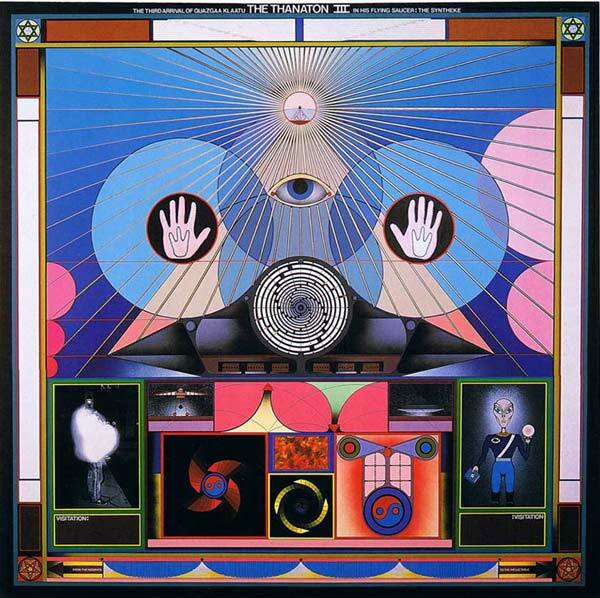 If you’re unfamiliar, even the tone and pitch of his NY Times obituary should offer a lens into his work—it’s titled, “Paul Laffoley, Painter Inspired by Time Travel and Aliens, Dies at 80.” Although working in what practically redefines the nature of “liminal space”—engaging in visual and textual inquiries positioned someplace between New Age theology, mathematical abstraction, mystical systems, and all senses of the term extraterrestrial (he claimed to have seen the film The Day the Earth Stood Still 873 times)—Laffoley’s work was also uncannily prescient, as you can note from the NYT obit below: “It is kind of like taking money out of a bank machine, when you’re looking at a screen and you’re called upon to touch the screen,” he said of “Thanaton III,” a painting from 1989, in a 1999 interview shown on “Disinformation,” a television series on Channel 4 in Britain. “You know that you can’t go through the screen, but you do also know that there’s something behind the screen that’s organizing the experience that . . .
Richard H. King’s Arendt and America considers a unique reception history—that of America on Hannah Arendt, and not the other way around. 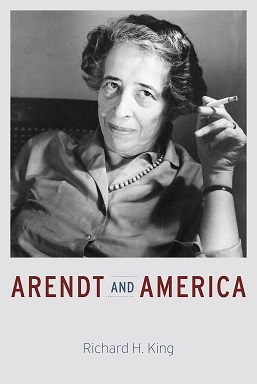 Situating Arendt within the context of US intellectual, political, and social history, King examines how time spent in her adopted homeland and the relationships she formed while living there allowed her the necessary time and space to develop some of her most compelling contributions to critical thought, including the idea of the modern republic as an alternative to totalitarian rule, and the concepts behind the “banality of evil.” Recently, Kind engaged in an hour-long interview with Lillian Calles Barger, for the New Books in Intellectual History series. From that interview’s header: Her interests were neither social nor cultural, but the political sphere. In Cold War America, she became part of a moral center of the New York intellectuals and forged relationships with people such David Reisman, Dwight MacDonald, Irving Howe, and Mary McCarthy. Arendt expressed a continual concern with the nature of political action, the possibility of new beginnings and the idea of the “banality of evil,” introduced in the controversial 1963 book Eichmann in Jerusalem. Difficult to categorize ideologically, Arendt sought a “worldly” politic, rather than politics based in idealism or pragmatism. . . . In Houston, We Have a Narrative, consummate storyteller—and Hollywood screenwriter and former scientist and communications expert—Randy Olson, conveys his no-nonsense, results-oriented approach to writing about science, the stuff of some of our greatest plots. On December 1, 2015, at 2PM, Olson will be leading an hour-long, online seminar for the AAAS (the American Association for the Advancement of Science, the world’s largest general scientific society). In addition to conveying the fascinating journey of how he left a tenured professorship in marine biology to write for the movies, Olson will let you know why—and, but, therefore—how. From the AAAS’s description: He had a single goal — the search for something that might improve the communication of science. He found it in a narrative template he crafted and labeled as “The ABT.” The ABT is adapted from the co-creators of the Emmy and Peabody award-winning animated series, South Park. In a 2011 documentary about the show, they talked about their “Rule of Replacing” which they use for editing scripts. Their rule involves replacing the word “and” with “but” or “therefore.” From this Olson devised his “And, But, Therefore” template (the ABT). 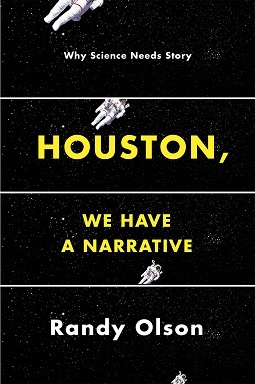 This has become the central tool for his new book, “Houston, We Have A Narrative,” his . 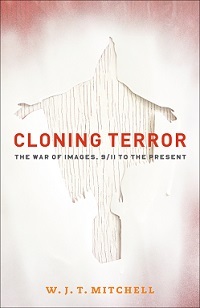 . .
An excerpt from W. J. T. Mitchell’s Cloning Terror: The War of Images, 9/11 to the Present One further thought on the unspeakable and unimaginable: as tropes, they are turns in the stream of discourse, swerves in the temporal unfolding of speech and spectacle. The unspeakable and unimaginable are, to put it bluntly, always temporary. Which means they exist in historical time as well as the discursive time of the unfolding utterance, or the temporality of personal experience. What was once unspeakable and unimaginable is always a matter of becoming, of a speech and an image to come—often rather quickly. If I tell you not to think of the face or name of your mother, you will not be able to prevent yourself from conjuring up her image and name. Declare that God is unrepresentable, and you also declare yourself a representative of the truth about him; you make a representation, an authoritative declaration, of his unrepresentability. Declare that something is invisible, accessible to visual imaging, and someone (usually an artist or scientist) will find a way to depict it. Prohibit something from being shown, hide it away from view, and its power as a concealed image outstrips anything it could have achieved . . .
How did we get from here to there? How do we go from here to there? How was it that we went from here to there? Where are we going? How? These kinds of questions are excellent pontifications on/interrogations of the nature of time and space, those blaring abstractions, as we perform them through acts of mechanical reproduction and technological change. Maybe a better question is, then, What carries us where? When the University of Chicago Press was founded in 1890, it wasn’t printing knowledge. It was a press in the literal sense of the term, a printer: The University of Chicago Press was one of three original divisions of the University when it was founded in 1890. Although for a year or two it functioned only as a printer, in 1892 the Press began publishing scholarly books and journals, making it one of the oldest continuously operating university presses in the United States. This isn’t a critical history of UCP, but one wonders about the relationships between scholarship, technology, and the academic institution that engendered that turn from printing materials to printing ideas. Fast forward a century. In 1991, building off a wave of enthusiasm for the fax machine, John . . .
*** The first Armistice Day, which celebrated the one-year anniversary of the end of hostilities on the Western Front, and ultimately, the conflict-based dissolvement of World War I, took place on November 11, 1919, and marked that moment a year earlier, the “eleventh hour of the eleventh day of the eleventh month” of 1918. Fast forward nearly a century. Desensitized via the ubiquity of war photography and new forms of media circulation to the strangeness, the horrors, the portrayal of foreign terrain, and the shocks of bearing witness to conflict, we can point to any number of examples of now classic photojournalism that portray the terror of warfare in the twentieth and twenty-first century, including work by Robert Capa, Joe Rosenthal, Nick Ut, Gary Knight, Benjamin Lowy, and Ashley Gilbertson. 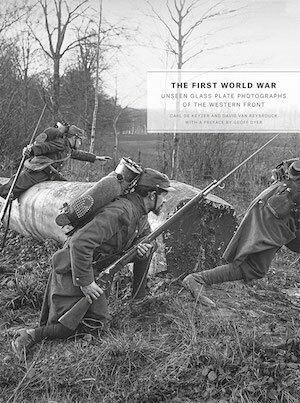 The First World War: Unseen Glass Plate Photographs of the Western Front is different. Carl De Keyzer’s meticulous reconstruction of photographs—including many authentic color images, the result of early autochrome technology—makes available glimpses of the First World War, as never seen before. We’re accustomed to grainy, scratched, blurred images in monochrome of the devastation of trench warfare, but these images, taken by some of the war’s most gifted photographers producing glass plate images in lieu of . . . In a piece for FiveThirtyEight, “How Democrats Suppress the Vote,” Eitan Hersh connects the dots between low voter turnout, off-year elections, and the pursuit of (often municipal) policy goals. Arguing that off-cycle elections inherently yield a decreased number of voters disinterested in having to vote multiple times or engaging in local-level politics, Hersh turns to Sarah F. Anzia’s Timing and Turnout: How Off-Cycle Elections Favor Organized Groups to explain why: Political scientist Sarah Anzia, a professor at the University of California, Berkeley, gives a compelling explanation in an outstanding book published last year. The first point that Anzia makes is that the off-cycle election calendar is not a response to voter preferences; voters do not like taking multiple trips to the voting booth. 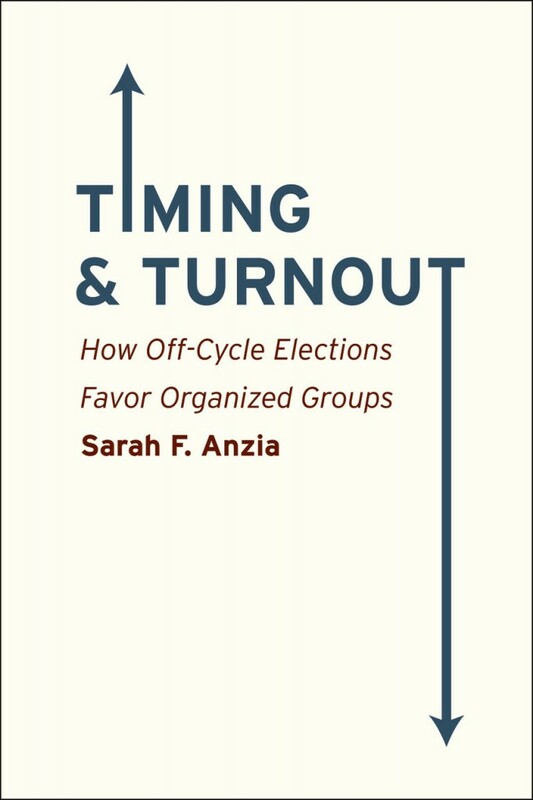 Anzia asked a nationally representative sample of Americans if they prefer elections held at different times for different offices “because it allows voters to focus on a shorter list of candidates and issues during each election” or all at the same time “because combining the elections boosts voter turnout for local elections.” Voters of all political stripes prefer consolidated elections, and by wide margins. But that’s especially true for people who identify as Democrats, who prefer consolidated elections 73 percent to 27 . . .